Alan Combe, Graeme Owens and Danny Invincible have been allowed to leave Rugby Park on free transfers. Alan Combe, Graeme Owens and Danny Invincible have been released by Kilmarnock. The trio, who have played over 300 games combined for the SPL club, will be free to join any new club outwith the transfer window. Combe moved to Rugby Park in 2004 from Bradford City, having previously played at Dundee United, St Mirren and Cowdenbeath. He quickly established himself as number one at the club but a succession of injuries has seen him play just four games since the start of the 2009/10 season. This campaign, Combe has been unable to return to Mixu Paatelainen’s squad, with Cameron Bell now first choice and with Kyle Letheren and Anssi Jaakkola. 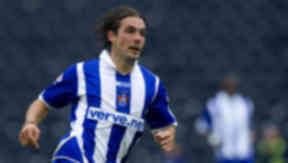 Winger Owens moved to Kilmarnock in 2009 from Middlesbrough, signing a two year deal. But the 22-year-old hasn't kicked a ball this season, having played only seven times for the club. Invincible meanwhile has featured sporadically this season, playing nine times but failing to find the net on any occasion. His last appearance for Killie was on November 6, coming on as a later substitute in an away win against St Johnstone. The Australian, who signed from Swindon Town in 2003, scored 37 times for Kilmarnock in 224 appearances, with his last goal coming in a 2-1 defeat to Falkirk in December 2009. Kilmarnock boss Paatelainen has been busy in January, adding the trio of Benjamin Laurant from Le Havre, Billy Berntsson from Sundsvall and Willy Aubameyang from AC Milan to his squad.